EXTRA PREPARATION FOR AN EXCELLENT SCORE. Includes a full-length practice test, 60+ drills across all sections, and detailed explanations for every question! 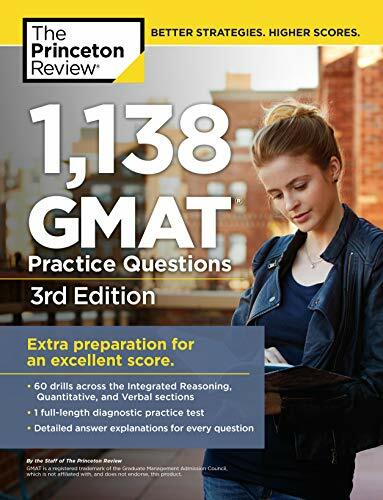 1,138 GMAT Practice Questions helps to prepare you for every kind of question you’ll encounter on the GMAT. Each section is tackled by drilling down to core concepts and problem types, so that you can approach the test with confidence and practice your way to perfection! Extensive Practice with Integrated Reasoning Questions.